One of those memories is of a barometer, ‘borrowed’ off a pub wall before Sir Robin set out on his solo first which he used to monitor the changing weather conditions during his 312 day voyage. The original was later stolen from his yacht but Sir Robin returned with a replica of that faithful ‘A Lovely day for a Guinness’ branded barometer to present to the Chain Locker Pub where he stayed 50 years ago before his departure and on his return. 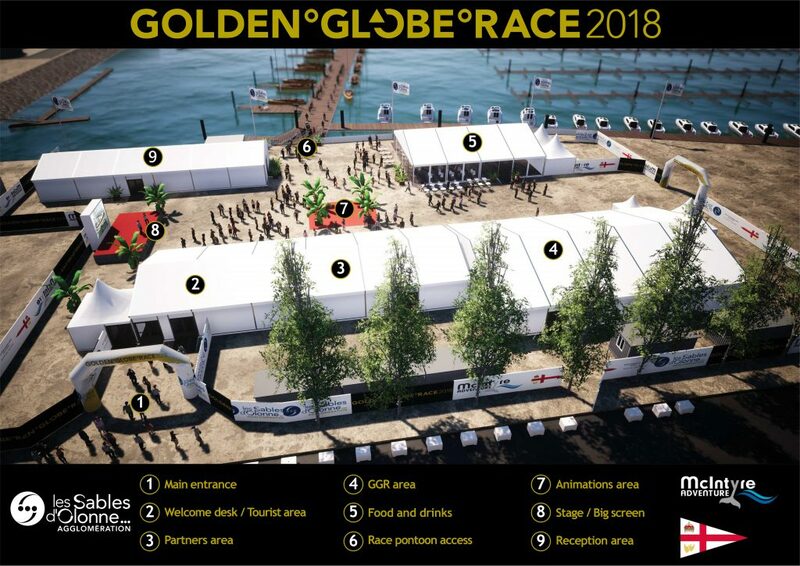 17 skippers arrive in Les Sables d’Olonne for start of the Golden Globe Race on July 1. 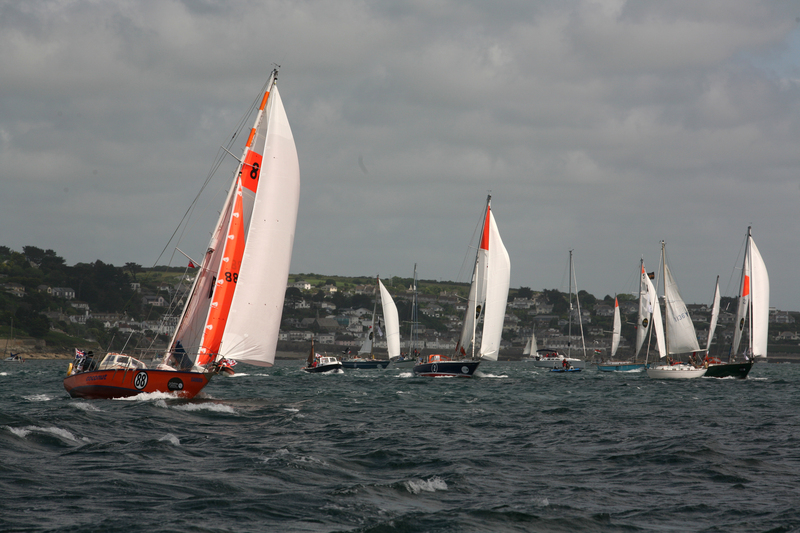 One skipper still to arrive – by road! 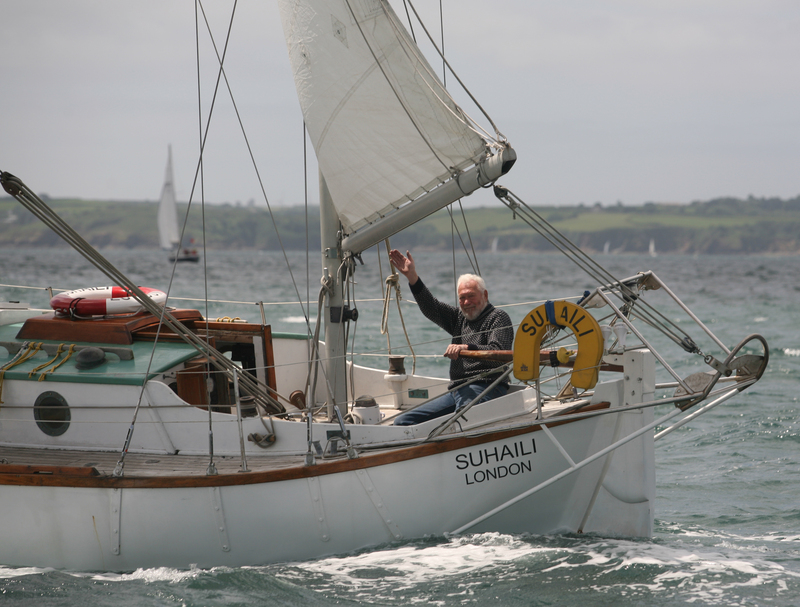 The greatest applause was reserved for Sir Robin Knox-Johnston and his famous Suhaili yacht, winner of the first Golden Globe Race back in 1968/69, and first man to sail solo non-stop around the Globe. 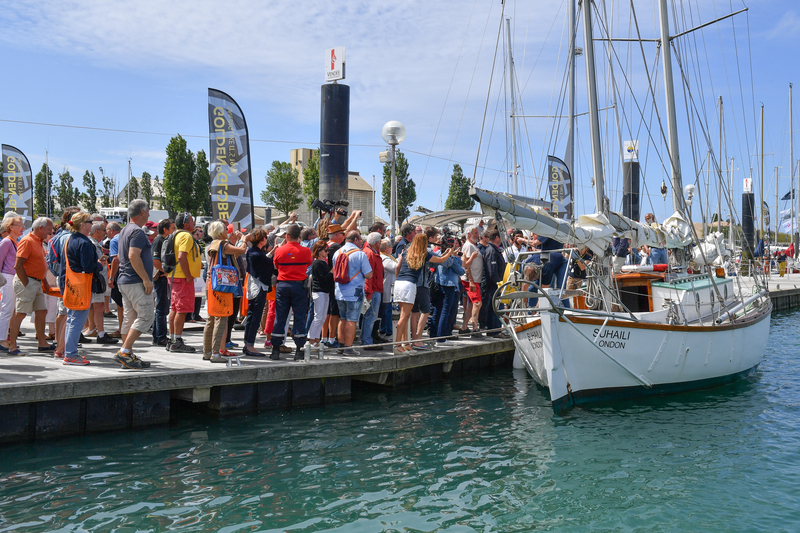 Hundreds gathered on the dockside all vying to catch his lines or eye, and thousands more cheered from vantage points around the marina. 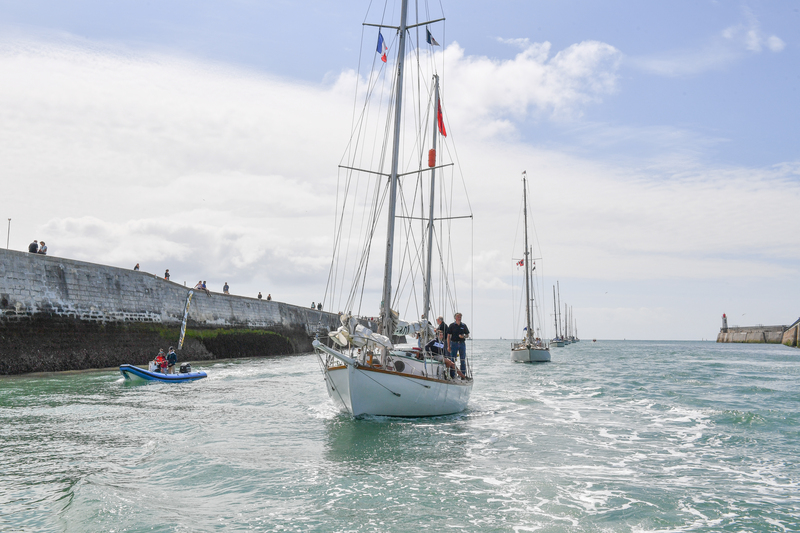 Suhaili was escorted the last 25 miles from Ile-d-Yeu by a fleet of yachts representing the French section of the Cruising Association. 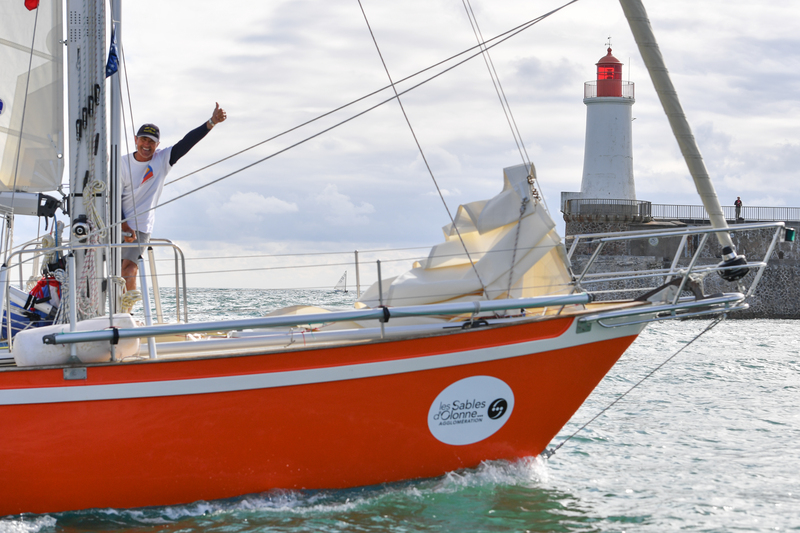 Francesco Cappelletti, the 18th GGR skipper, set off from the South of France early this morning in the cab of a truck, towing his Endurance 35 007 across country to Les Sables d’Olonne. 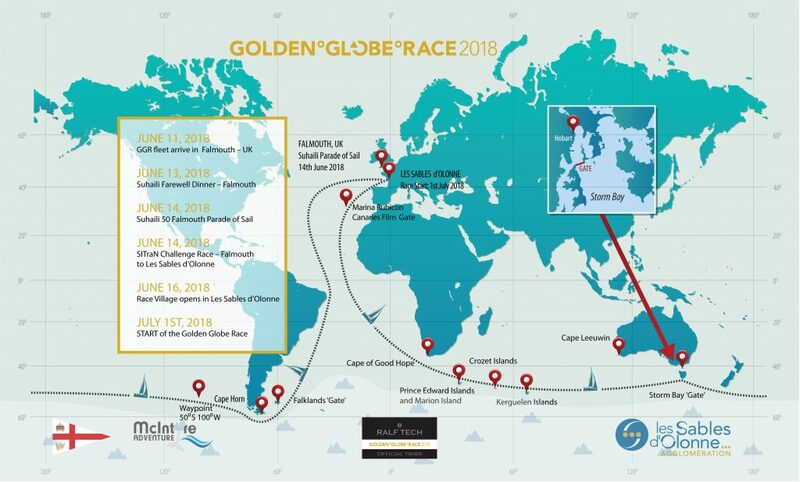 The Italian must arrive on Tuesday to attend a compulsory skipper briefing, then complete 3 days of solo trial sailing in order to join the fleet for the Race start on Sunday July 1st. 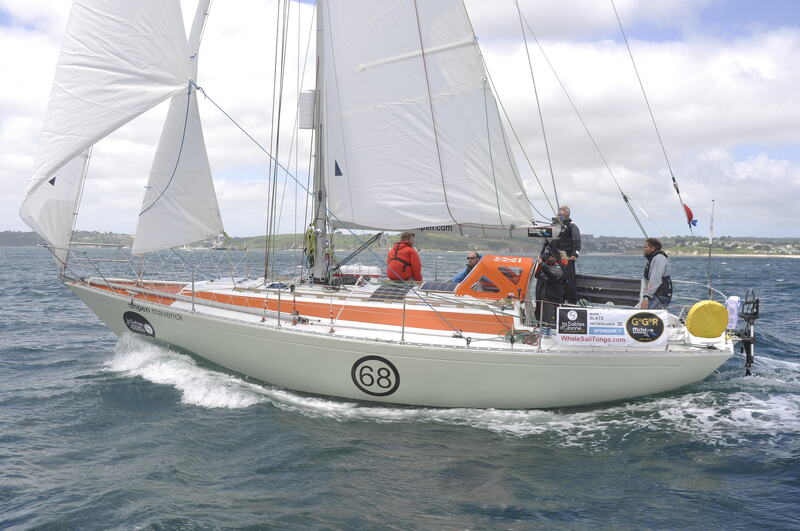 The aim of the SITRaN Challenge charity race was to finish as close as possible to 19:00 on Saturday. Skippers were allowed to use their engines, but had points added for every hour after the prescribed finish time and more for each hour they motored. These calculations catapulted Philippe Péché’s PRB up from 7th finisher to 2nd overall one point ahead of Jean-Luc Van Den Heede to give the Rustler 36 entrants a clean sweep of the podium positions.